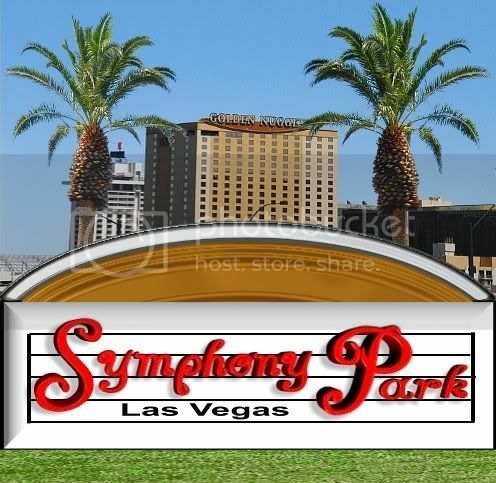 Located in the heart of downtown, you could say that Symphony Park is setting the tone for the future of Las Vegas, NV. It has become the center for orchestrating the diversification of the local economy, a new base for arts and culture, and a showcase for conservation and green building in a state already poised to become a leader in renewable energy, at the newly titled Nevada National Security Site that may also have additional future uses for energy, technology experimentation and jobs. This project was originally named Union Park, after the former Union Pacific rail yards that had been on this location. In what seems a twist of fate, the railroads are what originally gave birth to the city, with land auctions in 1905 that led to the incorporation of the City of Las Vegas in 1911. Now nearly 100 years later, this same land in the shadow of the historic downtown with it's world famous Fremont Street, appears to once again play a highly important role in the Las Vegas of tomorrow. Is this a building that melted in the desert sun? No this is the work of internationally renowned architect Frank Gehry. His style is a blend of contemporary architecture and sculpture that turns into a flowing work of aesthetic space, and a fitting gateway into this project centered around art and culture. The building houses the new world center for the treatment of Alzheimer's and other brain disorders, the Cleveland Clinic Lou Ruvo Center for Brain Health. The center is a partnership of Cleveland Clinic and the Las Vegas Keep Memory Alive Foundation that began this quest for research and treatment of these disorders. 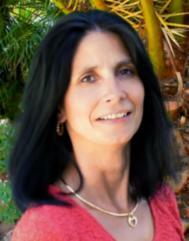 KMA was founded by local businessman Larry Ruvo, who had watched his own father, Lou, suffer with the disease. The back of the Center reveals a look at the contemporary styling lurking beneath the stainless steel facade. The interior of the building, shown here, is just as flowing and unique as the front, appearing to simulate the complexity and connectivity of the human mind. The efforts to fundraise and build such a structure, through events like their annual star studded Power of Love Gala, and the support it has received from both the community and outside sources are what helped to inspire the partnership with Cleveland Clinic. It has even led them to explore expanding their presence in Symphony Park, as they currently hold exclusive negotiating rights to several adjoining parcels for expanded medical services, as shown on this Newland Community Map of the project. Of course it's hard to show a panorama of Symphony Park's 61 acres in the size limits I have here in my blog. Clicking the image above will load into a Google Maps API, so that you can zoom in or out and drag to see the details, including the side view of the Cleveland Clinic Lou Ruvo Center and the under construction Smith Center for the Performing Arts. This $470 million center will house 3 theaters for everything ranging from Broadway and performing artist shows and concerts, to intimate local productions. A recent addition to the complex will be the $43 million Discovery Children's Museum, with a larger footprint and new exhibits for families to enjoy. Smith Center will also become the permanent home of the Nevada Ballet Theater and Las Vegas Philharmonic, as well as other local theater, dance, music, and educational groups. For a sneak peek at these fabulous new facilities coming on line in 2012, there's a virtual fly over and through, along with a video presentation, found here. 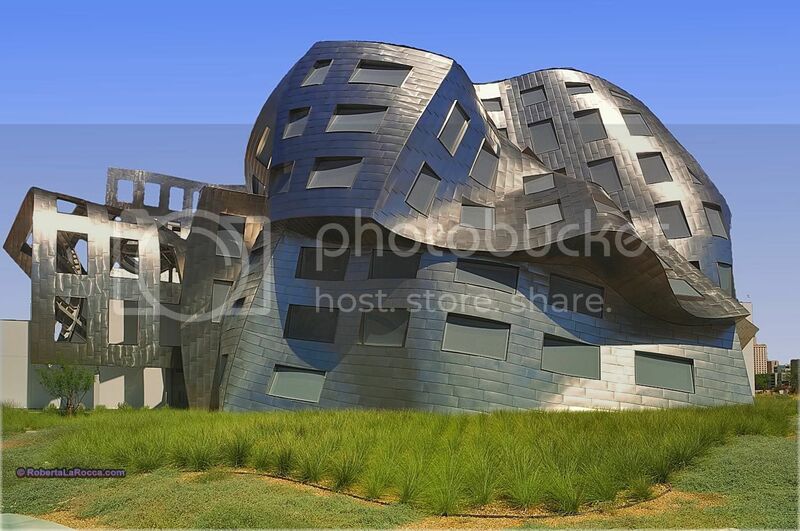 You may have noticed in the Lou Ruvo Center pictures or panorama, that there was a rather large building hiding just behind it. 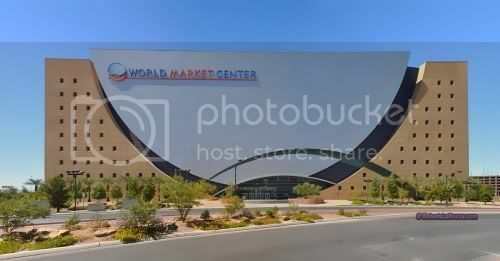 That is just one of the 3 current buildings that make up the 5,000,000 square feet of the World Market Center, a furniture showplace for manufacturers and buyers from around the world. While the center has felt the squeeze of the global financial slowdown, hopes are that it can be a catalyst for export manufacturing in an economic rebound. You'd have to imagine that this facility played some role in the recent opening of Foliot Furniture's west cost manufacturing operations and showroom near McCarran airport. In the panorama you may also notice another crane to the right of the Symphony Park sign and behind the Bank of America building. That is the construction of another Cleveland based company, Forest City, and their LiveWork project that will contain the new Las Vegas City Hall and a new Transit Terminal as part of that complex. This is one of several proposed and soon to begin projects in the downtown area that includes the CIM Group Lady Luck starting later this year, as seen on this map. It also shows the land swap arrangement between the city and Forest City, trading the City Hall parcel when completed in 2012 for one in Symphony Park for a 1000 room hotel and casino as shown in this rendering. Symphony Park also has another unique architectural and cultural center in place just across the street. The Clark County Government Center and it's amphitheater where many community concerts and performances are held. If you thought the Luxor on the Las Vegas Strip was the only pyramid in Las Vegas, you'll discover there's one also found here. It houses the 400 seat cafeteria that service this nearly 400,000 square foot facility built on almost 39 acres. The other existing neighbor on the last corner of Bonneville is the Las Vegas Premium Outlets. This 150 store outdoor outlet mall opened in late 2003 and as the name implies it features many designer brands. If the foot and vehicle traffic of my recent mid-week visit is any indicator, consumer spending here must be on the rise. The surface lot I was in didn't have a space, the one parking garage I was in was near full, and there was a constant line of cabs and limos adding to the crowds at the stores. There is something else to notice in that panorama, other than it's in sight of the Las Vegas Strip. If you look at that red center lane on Grand Central Parkway, it's the new dedicated lane for the Regional Transportation Commission's new Gold Line. 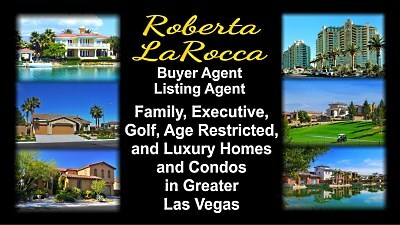 It connects the Symphony Park area with downtown, the Las Vegas Convention Center and the Strip. These diesel - electric hybrids are busses, but with the level entry of light rail. It's part of the future mass transit system connecting the Las Vegas Valley, with the Boulder Highway corridor under construction to connect downtown Las Vegas with Henderson. At a much lower cost per mile to build when compared with light rail, this transit system represents an affordable way to expand future transportation needs. 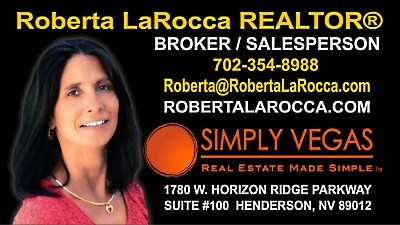 In the relatively short history of Las Vegas, it has been the fastest growing city of the past century. Much of this is due to it being able to reinvent itself over the years. It's beginnings in rail and mining, pioneering in gaming, it's WWII military base and manufacturing followed by cold war testing and development, to today's world class resort destinations with entertainment, shopping, and dining, and it's air and ground tours to the many natural wonders of the southwest, the city has always evolved. Part of it's ability to recover has been it's forward thinking that you see here with Symphony Park, combined with it's business friendly environment and low tax burden. These incentives have inspired creative thinking and the ability to more easily absorb the risks of fresh ideas, while also offering employees more take home pay in a city that offers the amenities often found only in much larger and expensive urban areas. Even now as we all inch toward a recovery, the groundwork laid out in Symphony Park offers Las Vegas a leg up on any potential the future may hold. It is part of the reason so many home buyers and investors have been absorbing the local home inventory, putting their money on a turnaround for the city with the can - do attitude.